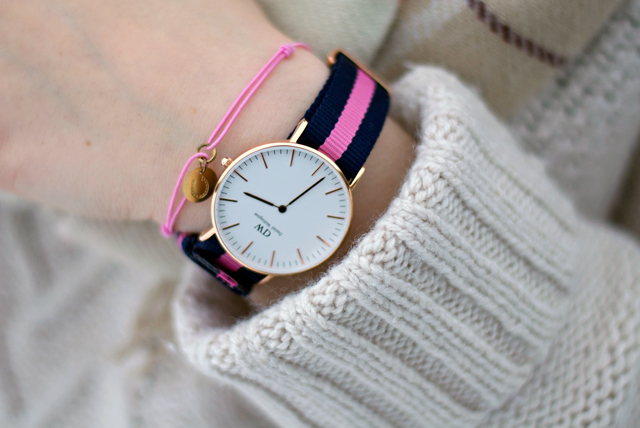 In case you're wondering where that stunning Daniel Wellington watch came from: I was lucky enough to win it! My watch collection is growing considerably but I was indeed lacking a classic beauty like this one. Enjoy the snow if you've got some! Wonderful outfit and landscape ! Your skirt is beautiful and I love your scarf. What a delicate and well coordinated look! 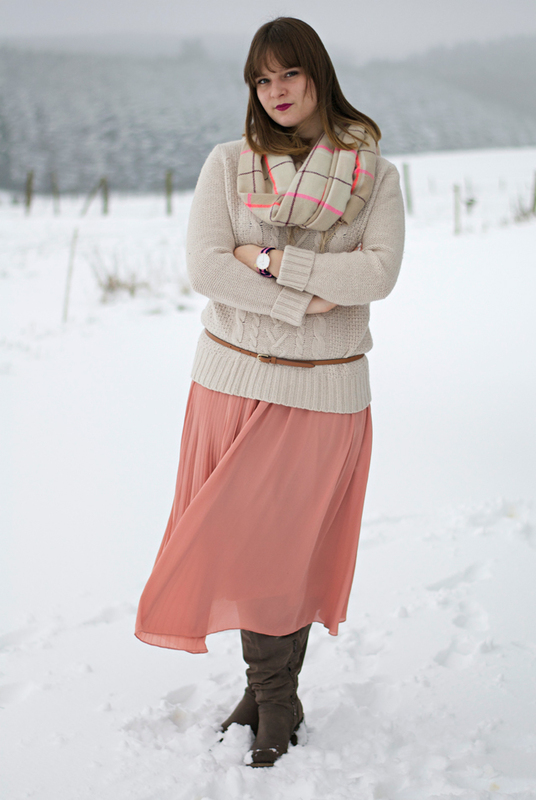 I love how you pay such great attention to detail like how the orange pink in the scarf goes with the skirt! That skinny belt also was a fantastic touch! I wouldn't have thought of putting this outfit together but you nailed it! aww looks so cool ! I think I would never be able to style a summer dress to be worn in winter too. But you did a great job here ! We got some snow here in DC and we're expected to get a bit more tomorrow morning! Kudos to you for taking pictures of your beautiful outfit in the elements! 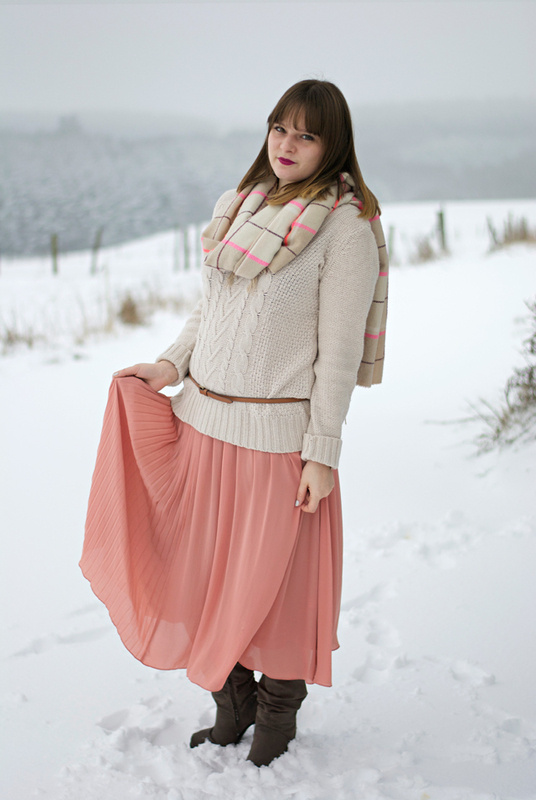 I really love the softness of your skirt - I like a soft color in the cold. 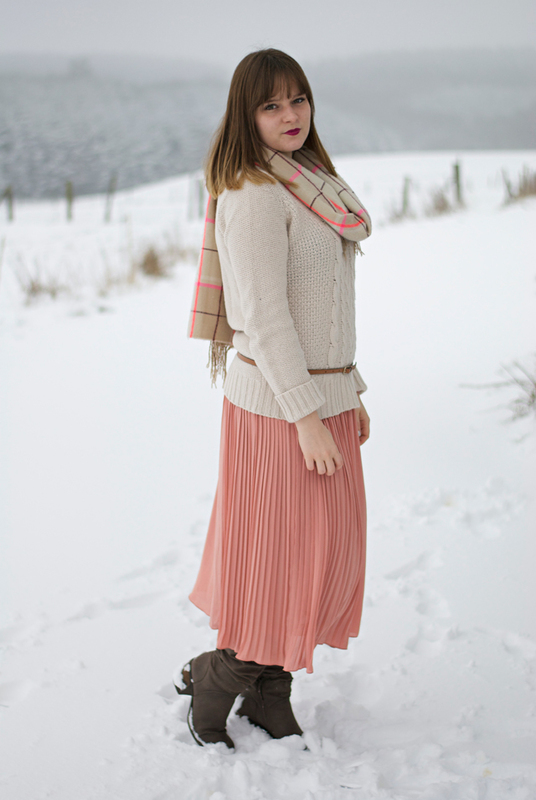 It feels like it warms up a winter outfit! Carmen, das Outfit ist toll und steht dir ausgezeichnet! Ich liebe die Farben und der Look wirkt sowas von gemütlich. 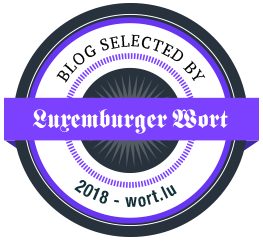 Da hast du vollkommen meinen Geschmack getroffen.